Home 2016 September 18 Can people change? This one talks about the big five traits of personality: extraversion, neuroticism, agreeableness, conscientiousness, and openness. These qualities are tied to different parts of the brain, as seen in the pictures below. 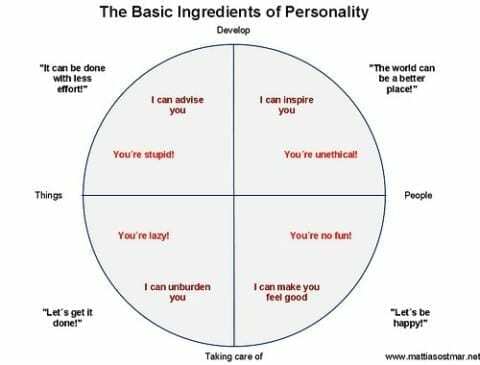 Personality traits, to some extent are hard wired in our brains. But if we make an effort, it is still possible to develop the other parts of our brain, that for example, make us more confident, or optimistic. Fear not friends! It is still possible to train your brain. The power of visualization, imagination, and determination are all key to changing your mindset or personality. In conclusion, “Thoughts have power.” And no matter what your personality is, it can be changed if you put your MIND to it. McLeod, Saul. “Theories Of Personality | Simply Psychology“. Simplypsychology.org. N.p., 2016. Web. 15 Sept. 2016. Can people change? by Alea is licensed under a Creative Commons Attribution-ShareAlike 4.0 International License. Hey Alea! If you are interested in psychology, with regards to personality, I recommend researching Carl Jung. His ideas and analysis are the basis for a large majority of psychology. Another psychologist I recommended is Burrhus Frederic Skinner. He has an excellent book called Walden Two.